Guys, when it comes to Michael Jackson something outrageous seems to be constantly taking place on our TV. Now they have decided to perform an online autopsy (on a synthetic cadaver) following the autopsy report of Michael Jackson’s body. Frankly this is the first time I ever hear of a program and even idea like that. I wonder if they would do the same with a synthetic body of Princess Diana, for example? Why do a thing like that? What for? To see the scars on Michael’s body? The other side to this matter is how ethical it is. Would they do the same to their own deceased relatives? And what will be the next step in the TV progress – broadcasting autopsies live on real human bodies? As you are no doubt aware a serious situation involving some potentially offensive programming by Discovery UK is scheduled for forthcoming release. The first Discovery documentary billed as — “Michael Jackson’s Autopsy: What Really Killed Michael Jackson” has been out-produced by Renegade Pictures LTD — and is scheduled to air on 13/01/11 at 21:00 pm, then 14/01/11 at 22:00 pm, 16/01/11 at 22:00, 17/01/11 at 22:00. As you can imagine many people are concerned about the tone and approach Renegade (and by extension Discovery), will be taking on this program, and a radio programme that will discuss this is scheduled on BlogTalk radio on December 12 at 13:00 pm Central Standard Time with Reverend Catherine Gross. I have also included a recent mail out compiled by Reverend Barbara Kaufmann ( see below) for your perusal, so that you can see what many have been doing so far regarding this news. MJ Justice Project and MJ Children have united to bring you the truth about the Discovery Channel. The Discovery Channel, which is actually the Oprah Winfrey Network (OWN) [this information was later found to be incorrect – sorry for the mistake VMJ] will broadcast 13 January 2011 a documentary on events surrounding the death of Michael Jackson. Based on the autopsy report and court documents, the film will show a reproduction of the body of the star in every detail. The documentary aims to follow a doctor who will dissect the body and reveal the true reasons for his death. Are you enraged? If you are, join us. I do not know whether this program will be treated respectfully or not, but given the UK’s past News reporting and TV program history it is very understandable the amount of concern within the Michael Jackson Community. I am not sure what such a graphic display will do for anyone who loves this Man. It is one thing to see this on a TV CSI show, but something far different to see a representation of a Man most still hold and view as a living being in their minds done this way. I must remember to email Oprah and ask if she intends to allow us the same courtesy when she passes. If the thought of having herself striped in this manner down to the last pubic hair for illustration is a thought she and those who care about her find pleasing? I do know if this was my Mother I’d fight with everything I have in me. (1) Either this is her way of letting us know she cares nothing about MJ and what we think and this is to assist the man who was at the very least criminally negligent with his patient. (2) Or she is attempting in her own way to remove the veil of mystery surrounding Michael’s death. It is not how I would have gone about it, but I thankfully am not Oprah. What disturbs me more is the frequency this is happening; these programs and interviews. The gutter rag articles, they are just rats looking for some face time, but this is different. It is distracting us from finding answers, sharing that information and clearing up misconception within the Jackson community and the general public and exposing the lies. I have to offer an apology. Saying I was too busy to check the facts before speaking, too caught up to read all the information before commenting is irresponsible. I am now aware that Oprah does not own the Discovery Channel. It galls me to think this woman has any parts of humanity since she has shown so little with Michael, but if this was not her doing then an apology is required. I have sent mine to her office. I allowed my bad feelings about her to prejudice me on her possible involvement in this program; it lead me to make a false judgment against her. Something we fight against on Michael’s behalf on a daily basis. It’s been announced within Michael Jackson’s online community of advocates that the Discovery Channel is actually OWN, the Oprah Winfrey Network. OWN, acronym for Oprah Winfrey Network, is a future U.S. specialty channel, set to launch on January 1, 2011, owned jointly by Discovery Communications and Harpo Productions. Winfrey’s network will replace only the Discovery Health Channel, which has fallen victim to low viewer ratings, on cable and satellite feeds. The use of the word “network” to describe Winfrey’s new endeavor is a misnomer. She’s taking over the Discovery Health Channel only with programming of her own choosing. The Oprah Winfrey Network is only one of 28 separate brands–NOT the owner of the Discovery Channel or Discovery Communications. At these links are several press releases that explain the breadth of OWN’s program choices. Discovery Update: Autopsy Re-enactment scheduled Discovery UK January 13, 14, 16, 17, 2011. The Estate has recently advised that their team of lawyers after discussions with UK lawyers regarding the autopsy programs, were told there were insufficient legal grounds to stop Discovery’s programs from going ahead. The situation is still being monitored. In light of the above, the global effort to accelerate emails, calls and letter writing to Discovery is now critical. It does Discovery’s promotional work for them and give them the kind of publicity PR professionals charge thousands for. Lucy_Radcliffe@discovery-europe.com Lucy Radcliffe is the assistant to Nicolas Bonard. mark_hollinger@discovery.com Mark Holilinger is president of Discovery Networks International. http://corporate.discovery.com/contact/viewer-relations Discovery’s Viewer Relation in-house complaints area. theforensicdoc@gmail.com This is Doctor Hunter’s email. He will performing the mock-autopsy. mjj@innocent.com You can copy emails to MJJJustice project here. Mr. Bonard’s assistant Lucy Radcliffe has a direct phone line. Please do not use abusive language in any of your communications. Using non-emotive language, simply but firmly explain why these proposed programs on Michael Jackson are not only morally and ethically reprehensible — but are also a potential source of serious anguish and emotional distress for Mr Jackson’s surviving children and family. Would a program of this kind even be contemplated on River Phoenix, Heath Ledger, Brittany Murphy or Elizabeth Edwards? This disgrace is happening because years of dehumanizing Michael Jackson in the media has led to the belief that this is acceptable. If ever there was a time to put aside differences and unite in strength over an issue — it is now. This is being sent to speed up the process of letter /email writing or give ideas. The mails to send these too are included at the top. Obviously remove them once added to your address books. Pls pass this email on! I write in regard to the planned January 2011 programmes on Discovery, that will feature the mock ‘autopsy’ of the late Michael Jackson on the 13th, 14th, 16 th and 17th. Can you explain to me how you can justify this kind of programming knowing Mr Jackson is survived by three children? Do you imagine they are living in caves? Or that the children they now attend school with are? Whether Mr Jackson’s children hear about this programme now or (more likely) in the future, and whether that synthetic cadaver looks like Jackson or not — that will ‘feel’ like their father on that simulated slab. Imagine for a moment, just for a moment, that your jobs — the jobs you struggled for, pushed for and aimed for — one day, claimed you? That one day, your heart simply skipped with the stress of living at the pace you do, and you died. Imagine those you would leave behind. Now imagine a similar re-enactment being proposed for your autopsy, and how that would affect your own families. Whether they watch them now or not, in time, these intended programs will profoundly distress Mr Jackson’s children and his family. Because you can’t see those children, you imagine it doesn’t matter. But you are wrong. It matters a great deal. The life of a televison programme, with syndication, licensing, means their ‘lives’ are long. The idea that one day three young teenagers could unwittingly, or by some other means, be confronted with the reality that their father’s life was reduced to a public ‘spectacle’ for others to watch; won’t just hurt a little — it will hurt more than any us could ever imagine. If you cannot imagine that for your own children — how can you let that happen to someone else’s? If the Discovery Channel and Dr. Hunter were featuring the autopsy of say, someone like… Princess Diana? Or maybe Stephen Gately? Or perhaps Elizabeth Edwards — you would pause before considering it. But not with Michael Jackson. Why is that? Is that because Princess Diana and Tim Russert are human beings? And Michael Jackson is what… a freak show? Apparently you cannot imagine, as his eldest daughter Paris described in a recent inteview — her father making his children French toast and reading to them before they went to sleep? There is a reason why you feel it’s okay to cut up a likeness (or not) of Jackson and sell that around the world. It was being done ‘to’ Jackson throughout his life, why wouldn’t it continue after his death? And now, the media attempts once again to profit from that dismemberment by carving him up yet again in public and on television. How many more times will this be done? How can a channel that claims to put ethical programming front and centre of its ethos, be party to the de facto brutalization of someone’s memory, to someone’s loved one? And how many more times will you justify this by saying: ‘If we don’t, someone else will? Discovery have an opportunity here to stop this obscenity. Because that’s what airing these programmes would be — an obscenity. These proposed programs on Jackson are not acceptable. And as a member of a progressive media group — and more importantly as human beings –I invite all of you now, to stand a little taller, breathe a little clearer, and examine in conscience what you are doing. This proposed mock autopsy is a step beyond what is decent and what is right, and it is one you will not be able to erase once embarked on. I urge you to think again — if not for yourselves — then for those you know will be hurt by these proposed shows. Thousands will thank and respect you for calling a halt to this disgrace. And I will be one of them. Firstly, the phone was put down by a guy who answered. I rang back and Lucy came to the phone. She knew exactly what it was about. I asked her if she’d received my email. I asked if how she would feel if her her parents or someone she loved were treated as if they were a specimen for the purposes of entertainment. Lucy replied she couldn;t express an opinion. I told here that was a standard, evasive line and was unworthy of both her — and Discovery. I told Lucy the MJ autopsy programs had been commissioned by Discovery for profit only — nothing more. And any idea that their motivation was for jusice, truth seeking or true exploration of the issues surrounding Mr Jackson’s death — was a pretence. Lucy told me she could offer no opinion. I then told her in no uncertain terms that in abdicating responsibility here and hiding behind a blanket ‘no comment’ response, Discovery were demontrating contempt for their viewers. She told me someone would ring me back. I will be calling back tomorrow, and again the next day, and again the….. I would like Lucy Radcliffe to hear from you and many others. The point is this: It doesn’t even really matter what Lucy says — what matters if that Discovery know the strength of feeling that is out there. If you do not live in the UK, please get up earlier in order to make the call. Please pass this message onto all fan sites, twitter and other social forums. If ever there was a time to put aside difference and unite in strength on an issue — it is now. Please pick up the phone and send your emails and letters to Discovery throughout December and January. All the contact emails are in the email sent earlier. Probably the biggest threat with this is if his children should see or if the medical examiner they use has different conclusions to the information. If it is factual and follows the original report of the autposy there is no problem but we already know the results of the autposy so what is the point here? In other words is this medical examiner going to have the same conclusion or is this going to have some kind of spin put on it to confuse potential jurors? Whether they follow the official autopsy or not, I have a big problem with it! It’s just plain disrespectful IMO! When will the media leave this man alone at last? Suzy, I agree. It is a total lack of respect for the man which is so shocking. The autopsy also said that he was non-circumcised so will they …? David, thank you for the videos. Both are made in a proper and respectful manner and are quite informative. They chronicle the last moments of MJ and tell us the facts to think over. But what is an online autopsy supposed to show? When I was reading it I was sick at heart and barely made it to the end. Do you imagine what it will be like to see a cadaver cut into pieces? Of am I wrong in understanding how an autopsy is performed? And what’s the point of it? Don’t we know what the autopsy report said? What else are they going to show to us which we haven’t already learned? P.S. My only hope is that the phrase “We re-create his autopsy using anatomically correct synthetic cadaver” was used only as a publicity stunt to draw a bigger audience and in reality they will refrain from “recreating” anything. I do not know whether this program will be treated respectfully or not, but given the UK’s pass News reporting and TV program history it is very understandable the amount of concern within the Michael Jackson Community. I am not sure what such a graphic display will do for anyone who loves this Man. It is one thing to see this on a TV CSI show, but something far different to see a representation of a Man most still hold and view as a living being in their minds done this way. (2) Or she is attempting in her own way to remove the veil of mystery surrounding Michael’s death. It is not how I would have gone about it, but I thankfully am not Oprah. What disturbs me more is the frequency this is happening; these programs and interviews. I also saw that ‘Famous Crime Scene’ show and agree with David’s assessment of it being quite well done – as well done as any show could be about such a distressingly horrible subject, of course! It surprised me because it was shown here in Australia around the one year anniversary of Michael’s passing and it was actually the most positive of all the programs shown – sadly enough! Dial, I’ve also thought of the same but you worded it so beautifully. We must indeed remember to ask her for this courtesy. It seems to me the second variant is more probable. Despite everyone thinking that Oprah is doing it for money only I notice her being really intrigued by Michael and her asking all those ‘molestation’ questions because she suspects she was wrong about him. Well, the more she asks the more are the chances the public will hear the truth about Michael’s innocence, right? But re-creating an autopsy and arranging that “cadaver” show (if we are to believe its official description) is an absolutely sick thing to do and over here Oprah, if it is her doing, is simply risking her reputation of a journalist (whatever it is). It is not only awfully disrespectful towards Michael, but it is also awfully BAD TASTE if you excuse my saying it. P.S. Dial, I’ve added your comment as an update to the post. This is terrible. I have just heard about the Discovery Show and am so upset at the thought of this. How can they do this to his children, his friends and his fans? It is sick and perverted, at least they way they decribe it. How are such programs aloud before Murray goes to trial? Why can’t we be left to enjoy MJ’s legacy without this kind of disrespectful rubbish. The media are ‘Monsters’ indeed! My heart breaks for MJ (who is at least beyond being hurt) and for all of us. Do these people have no conscience? I am so upset at the thought of this. I don’t know what to do. I know how the media works… the more fuss we make about something, the controversial we make it, the better they like it. We provide them with free publicity for their program, and they know they’re on a winner. I have to stop now, I feel absolutely sick about this. Do these people have no conscience? God, please help us overcome this monstrous disrespect to your servant Michael. No one should receive such treatment, not even in death, with no thought given by the perpetrators to his loved one. It is totally unconscionable. Helena, the fact that you are thinking that Winfrey may have second thoughts about Michael’s innocence reveals how willing you are to think that there is always a good side in people.And that is trully something amazing.No, Winfrey isn’t going to change her mind about Michael.And that is because she had the chance to read the evidence and see that he was innocente and she never did that.Those evidence have been there for ages and she, of all people, could learn the truth much easier than any of us.She is after all inside the media, she is the media. But she chose to believe in Michael’s guilt. She is always making questions reguarding the molestation allegation because she wants to be sure that this aspect of MJ’s life will never be forgotten.She want MJ to be remembered as a freak and a p… than the man that he trully was. This type of sick program should NEVER be aired, let alone BEFORE the hearing! It’s indeed disgraceful, way beyond good people’s comprehension. Does anyone on here want to contact Rev. Al Sharpton who has been a friend of Michael’s for years. Here is his contact information http://www.nationalactionnetwork.net. I want Rev. Sharpton to have a national Civil Rights and black music summit because I have some people he needs to contact one is Geraldine Hughes who witnessed the 1993 extortion of Michael Jackson case and she is writing another book called Michaelgate around his passing. If Rev. Sharpton has a national townhall meeting I want him to have Geraldine Hughes, William Wagener who knows that Tom Sneddon falsified evidence in the case to be there. Mr. Wagener’s website is http://www.onsecondthought.tv. I will call Rev. Sharpton today his program is on a black radio station Radio One from 1 to 4 p.m. Eastern Standard Time. ce n’est pas un hommage à MJ mais un outrage et c’est honteux de manquer de respect à ce point!!!!!!! faire de l’audience à tout prix….même si ce sont des tordus qui regardent ce genre d’émission!!!!! dans quel monde sommes nous…plus de respect pour rien ni personne!!! 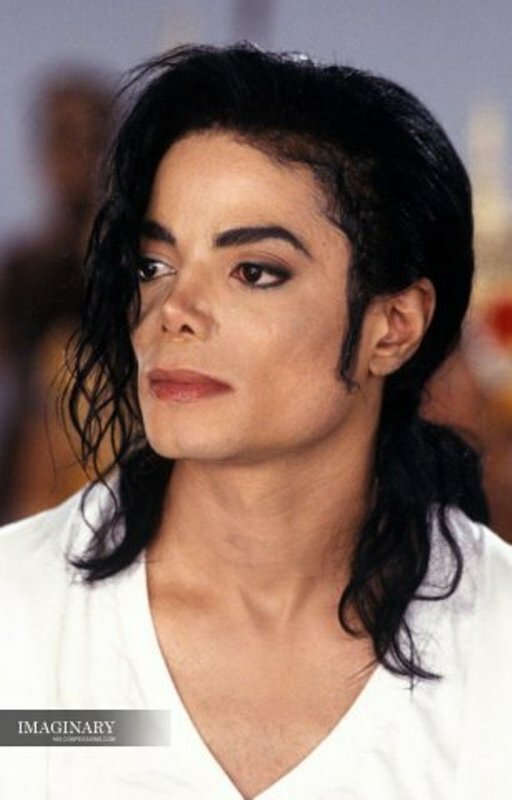 WHY CANT PEOPLE JUST LEAVE MICHAEL ALONE,HE IS GONE LIKE SO MANY OF YOU WANTED.I CRY SO MUCH,THE MEDIA AND WHO EVER IS DOING THIS INJUST TV SHOW IS OUT OF THERE MINDS. JUST TO MAKE HEADLINES. THE MEDIA RUINED MICHAEL NAME ENOUGH FOR NO REASON,WHY IS MICHAEL DUG THOUGH TO THE MUD MORE THEN OTHER STARS, ITS WRONG AND DISRESPECTFUL,WHAT ADOUT THE OTHER STAR THAT GOT CAUGHT WITH MINERS, YOU DID HEAR ABOUT HIM AS MUCH,IT IS ALL BS.JUST BECAUSE MICHAEL WAS A BIGGER STAR AND MORE LOVED.LEAVE MICHAEL ALONE. MJ being considered a p validates in society what ought to be very alarming behaviour by the media. You do not get the moral outcry from the public when Kelvin Mckensie makes his ugly statements, or when bleaching cream is manufactured in Michael’s name, or now a mock autopsy which is the height of poor taste. This is really nothing new and it has been going on for 2 decades. I maybe wrong for saying this, but I am going to never the less, his family doesn’t seem to get involve in denouncing some of these travesties. Randy Jackson tweeted about the Cascio tracks, but did not answer one question on the families’ response to K Mckensie. As much as persons are calling on Oprah or the media to do a show on Michael’s humanitarian work his true humanity is not going to be seen until/if there is CM vindication. Not even a jury of 12 brought him vindication. The saddest thing was reading Charles Thomson’s article and processing that with all Michael Jackson’s determination at succeeding in the film industry after 1993 it was simply derailed. Even reading that critics are calling the posthumous album shockingly good. Why should it be shocking after all we are talking about Michael Jackson. It just seems to me that people can get away with saying the most base things, and blantantly untrue only because they are talking about Michael Jackson and it is all fair game. Teva, absolutely! That is why proving Michael’s innocence should always come first. Even his humanitarian legacy is no argument enough and is regarded with suspicion as some dirty minds will always think he was “compensating” for something bad. We need to disprove those lies again and again, and spread the truth wherever and whenever we can – at every opportunity arising – even at the expense of being looked upon as weird by those around us. This is a real risk but we still have to take it because Michael is worth it. As to those guys who get away with the nasty things said and done about him – this reminds me of one character in history who told his soldiers that he “releases them from conscience” and them taking it literally which brought about many atrocities in the middle of the 20th century. History has fortunately passed its verdict on all that. Now some label Michael a “monster” and “animal” and regard themselves free from all human decency because they believe they are justified by what they think about him. But what will they do when they finally realize the truth? How will they live with their conscience being their hardest judge until their last day? This by the way is one of the reasons why they say “speak no ill of the dead” – while a person is alive he can still forgive you if you’ve made a mistake, but when he passes away and you go on vilifying him without reason your guilt stays with you as there is no one there to forgive you any more. That’s a good point about his family not doing anything to protect his name. I realized that too! They are tweeting like crazy when money/pride is involved (such as the Cascio stuff) but they say nothing when people go on TV and talk ish about Michael. Taj said he would take legal action if ITV don’t apologize for what MacKenzie said. Guess what? ITV haven’t apologized and there’s no legal action from Taj (correct me if I’m wrong). I wish they would be a little more active in protecting Michael’s name! The Discovery Channel is NOT the Oprah Winfrey Network. Oprah is taking over the DISCOVERY HEALTH CHANNEL, not the Discovery Channel. This has nothing to do with Oprah. Branca and Weitzman are trying to stop the airing. Weitzman: I was not aware of this fact and will look into the situation. What an outrageous and pathetic concept. Thanks for bringing this to my attention. “Branca and Weitzman are trying to stop the airing. Olga, and hasn’t someone recently asked us to boycott Branca? Who else can we rely on except these lawyers who seem to be the only ones who care about Michael’s image and legacy??? Guys, you know it also struck me only recently that the British TV is planning to show the program exactly a month after the new album is to be officially released. Will they be marking the date in some way? Or are they – besides all its humiliation – trying to convey to their viewers the idea of him being dead, while all of us feel that he is surprisingly alive in his music, spirit and message he is sending to every corner of the world through his lyrics? There is a certain dark irony that people will be involved in two opposite activities these days – some will be watching the cadaver dissection show and others will listen to Michael singing and speaking to us again. Doesn’t it mean that everyone will be getting what they deserve? Guys, after being away for some time I’ve found this message in a spam basket (this is done automatically, now released). If this is true, we need to amend the post because mistakes are unacceptable and we shouldn’t be unjust to anyone at all. It is a matter of principle – so if anyone really knows whether the above is correct please confirm. I will try to browse the internet for it too but doubt will find who the channel belongs to. Helena, Branca and Weitzman has helped before too. By the way check your e-mail! HLN is reporting on Will I Am’s feeling on the new music. He is saying not that he doesn’t believe the music is Michael’s just that it did not get the master’s complete attention and his final exacting approval. I understand where he is coming from. Anyway they reported on our outrage at the autopsy program and they agree that it is wrong. There was no mention of Oprah’s involvement in the network or program. On the whole the conversation on Michael was healthy and professional. Dial, I’ve checked up the Discovery site and they do say that Oprah is opening her “OWN” network there. However it is not clear to me where exactly that awful program is planned to be shown. Since we are in doubt I’ve placed your apology to Oprah in the post – and would like to add mine if the information I used is wrong. I would very grateful to anyone who could clarify which Discovery channel is planning this absurd, indecent and disrespectful show which, besides being degrading to Michael is also utterly degrading for human spirit in general. (uh..I mean reminding) others to check the facts. This is something you and others taught me. My letter to Oprah was a doozy, probably one of my best. Perfectly politely, polished and if I do say so myself rational, and beautifully scathing. Dag… could have saved it for next time. Well…it will keep me from getting the big head. As far as I have found the program is still a go. There are dozens of search links about our protest, but nothing else. We need more international interaction Fans in many cities of various countries are not aware of what is going on. You know how different local reporting can be in Europe than here. It seems only one US show commented on the program and our displeasure and that was only one day. Discovery Health which will become OWN has a sister channel, the British one which will broadcast the show. Both of them are under Discovery Communication Ltd that had collaboration / contact with Oprah since 2008. I wonder who was the first one who said that Hopra Winfrei had something to do with that show. I think that from now one we should be careful with what we say and who we blame because otherwise people are not going to take seriously the effords to clear MJ’s name from the allegations.Which is the most improtant thing in my opinion. I applaud do for your last comment. I feel that i made the same mistake and i shouldn’t have even though i really don’t like much that woman. Do not expect much protesting about that program though.The fans, apparently, are more interesting on complaining about he Cascio songs and the Sony boycott rather than the Conrad Murray trial or this show that is basically going to demostrate MJ’s body being dismembered .But everyone has their priorities i guess. Olga, thank you for the clarification. I’ve amended the post and offer my apologies to Oprah Winfrey too. It was extremely reckless of me to reprint the information without verifying it first. Ares, you are absolutely right. I’m sorry I’ve not been careful enough. No one should be slandered even by mistake as it makes us no better than Michael’s haters. Hello from Ontario, Canada… THIS is disgusting WHAT IS WRONG WITH YOU PEOPLE leave Michael alone! If you proceed with this documentary I hope karma on you greedy self absorbed assholes. God bless our king Michael Jackson we miss him dearly. You read me perfectly. I have seen the petitions also. I keep posting the same message and will continue to do so. Everyone has their pet conspiracy theories, (we believe the trial was & it took more than one to pull it off…….conspiracy) Every MJ Fan/Supporter/Advocate has things they wish to see happen that will benefit Michael’s legacy. We may not all agree on all, but we all agree on one thing Michael Jackson was not a child molester. Proving that, keeping others from doing more grievous harm to his name and image is the most import thing we can do. Once that is done than we can vote for him as President if we wish, harass the heck out of Sony, the music critics, the Estate and whoever else in the manner of Icon Fans everywhere. The CNN coverage of MJChildren petition protest of Discovery UK has opened a door for us. Use this link to use your voice. In this article they infer MJ ‘overdosed” and this distortion of fact without mentioning Dr. Murray is exactly the type of SUBTLE bias that they often use. Additionally – The third paragraph in CNN’s Report CONFIRMS that Discovery WILL AIR it on Jan 13th. This is not a rumor. In this article, CNN wrote ‘who died of a drug overdose at age 50″ in response to this I commented below but they REFUSE to post any comment from me.. Please go in and try to leave a comment.. If you are successful please add my thoughts. ”For you to include this line is the example of bias against that we at MJJJusticeProject are rallying against “who died of a drug overdose at age 50″ What? Seriously? NO mention of Dr. Murray..? the way you state it, INFERS MJ overdosed himself..!! Is that your aim? This sordid documentary from Discovery is another attempt at pointing the finger at MJ.. what are you all trying to say is that he killed himself?!!! Yeah.. we totally understand whats going on. MJ supporters YOU had better wake up.. Get out of your stupor and CHALLENGE this continued bias against Michael Jackson. This barrage of distortions and lies will never end as long as we are indifferent. Gigi, what you are saying is top important, so I am repeating your post in full. But first let me just ask one small question about the way Michael’s death is reported in the English language press. To me the phrase “he died of a drug overdose″ sounds terribly misleading. In my language the expression “a drug overdose” is the equivalent of “a narcotic drug overdose” – which is a totally wrong thing to say about Michael’s case!!! Do you use “a drug overdose” expression when – for example – a doctor gives a patient a double dose of some medicine for treating heart diseases or wrong medicine and as a result the heart stops? Is it correct and neutral to say in this case that the patient died of a drug overdose? Wouldn’t it be more correct to say that the patient died of a doctor’s mistake? To me as a foreigner “he died of a drug overdose” form of presentation sounds distorted but I don’t feel the way it is in your language. All I know is that Michael didn’t take the anesthetic himself, it was a “doctor” who administered it to him and propofol was taken not for driving a person into the narcotic hell but it was a treatment for a terrible case of sleeplessness he was suffering from. Frankly when you don’t sleep until 11 in the morning though in a couple of hours you are supposed to start a rehearsal you could ask for anything, just anything – even hydrocloric acid if it could help…. I just spoke to Lucy Radcliffe at Discovery. She is the assistant to Nicolas Bonard SVP at Discovery Europe. So, this means that MJ’s estate legal team can not stop this program? How is this possible? And what i don’t understand is what is the purpose of this program, except of course from the ratings? What is this? Is MJ the only person in the world that every single private, human right is not applied to him? I find this the ultimate form of deprivation of his rights and to me this program demostrates again that for some reason people think that they can do and say whatever they want about MJ without having to face any consequence. Where is him family now, where are his lawyers now ? Why are the fans the only one who are screaming for this kind of things? Why are the fans the only one who are protesting about this kind of things? Let’s say that his family couldn’t do anything about McCenzy or that Kiss band dude etc but this program is going to show their relative body carved like an animal, why aren’t they tweeting about this, why aren’t they protesting about this? Somebody said that Parety is going to do another show about MJ. Another filthy show!!! This is the same guy who has made a name of himself in making unbelievably biased programs reguarting MJ and basically trushing him . Again, no one is protesting about this show either. / For 25 years NOW Michael Jackson has became the laughing stock of every single media outlet. Every single move of his has been deride and criticed. Even when he tried to have the most basic things, that for the rest of us are so obvious and given , like getting married and having children, he was yet again criticized and ridiculed. And now we have this. Even in death he is not entitled to the privacy and the human decency that was taken from him while he was alive? My God, i am so ungry with this whole situation. Ares there is an unspoken belief that Michael and by way of his family is not worthy of any consideration or respect. This is the result of a Media who is guilty of reporting stories not for factual content with an intent to properly inform, but to set themselves up as a pseudo judge and jury, the examples of moral goodness and make profit off human suffering. Dial, thank you for posting it – I’ve also added Deborah’s message to the body of the “Autopsy” post. Another update from Deborah Ffrench – guys, please join in – we should stop this outrage! For ease of speading vital information throughout the base — below is a twitlonger with all contacts for Discovery listed. For the record, Oprah was not included on my original message. As far as I know, Ms Winfrey has nothing with the Discovery autopsy programs. Thus I believe any mention of her confuses the issue. If you see any mention of Oprah in any messages from me, they have been tampered with, and I would be grateful if they could be amended to omit any mention of Oprah. Please retweet, FB and ask others to pass the twitlonger below on. At present, the email tally stands at under 300. We need many more than this, and we need to sustain this effort throughout December and January. If you can, please take a little time each day to send the same emails to all the contacts at Discovery. Simply put all their names in the BCC box so they won’t know who else you’ve emailed. If any of you know have non-English speaking fans as friends or have non-English members at your sites — please offer to help them with editing and writing of letters. You may be suprised by how many respond to your offer. If you have a chance to talk on the radio, to neighbours, friends, those in church groups, schools, businesses — about this pressing issue — please do so. Whatever your standpoint on recent divisive issues, I humbly encourage you to put them down — and encourage others to do so also. Michael Jackson was not, and is not, a lab rat (whether simulated or not) to be discussed like a specimen for public entertainment, while his three children and family live. This obscenity is bigger than all of us. I am asking all of us to do what it takes to raise the energy of this protest now. If anyone has any contacts with Spike Lee or other pro-Michael public figures, please explain the context of this protest to them and our intended peaceful aim — that these mock autopsy programs are imemdiately withdrawn from Discovery UK’s schedule. Brace yourselves this is disturbing on so many levels! Tell me that that picture is a joke.Tell me that they didn’t go so far. They would not to this to Princess Diana, Elvis Pressley, John Lennon, why him. Michael, always said anything for MONEY! They can STOP with the it will not be aired in the States, because 20 minutes after this program is over, it will be uploaded onto YOUTUBE, so it will be shown in the States. How shameful is that. May his children be blind to this forever. “They can STOP with the it will not be aired in the States, because 20 minutes after this program is over, it will be uploaded onto YOUTUBE, so it will be shown in the States. Vanessa, I pray that the heavens spare the children and mother from this sight. Guys, I also owe you an explanation why the picture and the accompanying text were removed from the blog. We decided not to display this suggestively obscene ad to the readers and not to give any publicity to the programme this way. The Discovery would probably be only too glad to have free promotion for their programme from Michael’s supporters so I’ve been convinced by my co-admins not to give them this pleasure. Maybe they’re not doing this to Monroe, Presley, Lenon because the media didn’t lie about their deaths. What if this documentary isn’t what we fans are perplexing it to be. What if it can actually help Michael and bring out what we’ve been saying all along- that he wasn’t an addict or unhealthy. Unfortunatelly,when it comes to MJ the media can not be fair.It’s just beyond their powers or their will.I have never seen a fair documentary reguarding MJ and i don’t think this will be different. But even if this show presented some truths about him, the whole idea is just … wrong and sickening. Why do they have to go so far as to carve his body (even if it is a synthetic cadaver) in order to present some truths about his death? I personally i am totaly against this. Because i know that this whole thing is made for ratings and only for that.I don’t see any other purpose of this show. Oh and by the way happy holidays to everyone. I trully hope this year brings us some changes for the better. So when he finally talked to the police “the following day” he continues to lie.Admits to giving 25 mgs of propofol. The CNRA said he, Michael ,would still be talking after a smsll dose like that. And why go to the bathroom to pee,there must have been plastic botttles. towels or something else he could have used. Even just on the floor better than leaving the room. Anyway all this is a lie. He was not paying attention being on the phone and texting.The propofol in MJ`s body was much ,much more than 25.mgs. No one could have gotten that amount in in 2 minutes.First it must be drawn up which takes time, then you have to find the place where you inject it, and you can not push that much in 1 go very quickly.Lie after lie that is.He just did not notice and then did not know what to do in an emergency. He messed up hoping that would somehow save him. I don´t understand this thing with auropsy. Are they using that plastic person with the likeness of Michael or are they showing a real autopsy on some anonymous voluteer? If the latter is true and no references are made to MJ,just wanting to show the public how a full autopsy is performed, that is fine. Now I am going out to buy a new key board. With this one,black and flat, I make too many typos. Now for Michael´s birthday I got a new keyboard and there will not be too many typos anymore.I still don´t understand what is happening re autopsy.Someone please explain. –VMJ you say you have had technical problems today,hmm,on MJ`s birtday. The story about the Agajarian family was great, and Amy,I am so sorry MJ is gone. Kaarin, I hope nothing is happening regarding the autopsy! If they start doing it again most of us will lose our last shreds of respect for the Discovery channel. They wanted to take a plastic body (probably looking like MJ) and start cutting it, taking different organs away. Probably sawing the skull in full view of the surviving children and mother. Examining the whole body including its most intimate parts in front of the hungry public. Even writing about it makes you feel nauseous – not to mention watching it. And not only MJ – ANYONE! I cannot even imagine what kind of a perverse mind could 1) come up with such an idea and 2) look forward to seeing the show. This is a huge step back into dehumanizing a human being. The next step for these people will be to climb a tree and turn into apes again. VMJ,being a medical professional I have had to do autopsies.Not forensic ones,we students were not allowed to touch them. I agree, first it was very odd to see people so totally dead, However in the long run it is good that autopsies are done,they usually do not need to be complete,just to carefully take a look where and what the pathology was. They are not common in US,but more so in Europe. Then it cannot be said that doctors bury their mistakes.And they do add to your understanding of illnesses.Seing the horrible pictures of killings on TV is much worse.We all have to die once,hopefully only followiong a good and long enough life.That was not the case with Michael. It is a great injustice still waiting for some just solution. Kaarin, we don’t live in a stone age and I am not against autopsies as such – when they are made to determine the cause of death or educate students. What I am totally against is showing autopsies on TV! Those who are not in the medical profession simply don’t need things like that same as they don’t need TV excursions to morgues (though some will probably like it). I can more or less understand a TV broadcast of a mock autopsy in case of a mysterious death investigated by some crime channel – for example, cases when the form of an injury can show from which angle the criminal struck his knife. But this should be done on a non-personalized plastic body which does not have any resemblance to the original. But the Discovery channel ad showed a body of a naked male covered by a sheet with his hand in a MJ glittering glove hanging from under it. If they went that far it means they wanted to show someone looking like MJ! They even said something about it being as close to the original as possible. And what is the purpose of such a show? His cause of death was internal and cannot be seen from the outside – so the only real purpose of it was to unspeakably humiliate the man and show his scars, baldness, genitalia, etc. They couldn’t strip him naked while he was alive – so they decided to do it after his death. And think of his children and very old mother. Would you like to see your deceased loved one to be dismembered on TV? VMJ, I fully agree with you.Ty do an autopsy,even on a plastic corpse, but with any reference to Michael Jackson, would be totally disrespectful of his privacy.And so even after his death.The original idea, that lyckily got aborted, was horrendous. Personally I think something like what they intended should be criminal.There are strict rules about patient confidentiality.I don´t know how they are applied after death in US.Death certificates are a byrocratic necessity,but I don`t think an autopsy report is.Now re Michael there is a criminal investigation,so that may make a difference.But to turn it to somekind of entertaiment is unethical to my way of thinking. I think yesterday the sites were mixed up,when I turned to your post the autopsy came up first.Good that nothing bad is going on re that.